A good, professionally recorded composition needs skillful work of an engineer to put together everything and achieve the appropriate volume and tone. Musicians, artists, bands already having their records in the paths are offered mix & mastering in our studio. Simply send the material to us and we’ll take care of all pre-determined including the recommendations and comments. PiecBerg studio – listen to mixed and unmixed acoustic samples. PiecBerg studio – listen to mixed and unmixed funk samples. PiecBerg studio – listen to mixed and unmixed jazz samples. PiecBerg studio – listen to mixed and unmixed pop samples. PiecBerg studio – listen to mixed and unmixed rock samples. 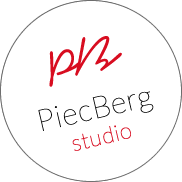 PiecBerg studio – listen to mixed and unmixed miscellaneous samples.